the rain clouds will never seem to go away. and your legs will become weak. and your eyes will not see clearly. Read and memorize scriptures: This is an opportunity for God to speak to you through His Word, and His Word never fails. Pray: The Bible talks about Praying without ceasing, which shows the power of prayer. Pray before, during, or after you read the Bible. Also pray in the morning, afternoon, night. The more you pray the more God REMEMBERS YOU. Worship: This is an opportunity to worship with God through music. This allows us to focus and remember Gods goodness and presence. Write in a Journal: I know some of you might not like to write, but this is an amazing way to remember the different areas God REMEMBERED YOU. Write about an experience, a prayer, an individual, anything you want God to take hold of. It will allow you to see small tender mercies that occurred. You will begin to notice God’s hand in your life. Serve: God talks about serving the poor and the widows which again is something that depicts the humility of God. Serving is an opportunity to get close to God, and this can be as easily as opening a door for someone, watching children, calling someone in need. There are numerous ways to serve, but make sure you do it with God at the forefront. 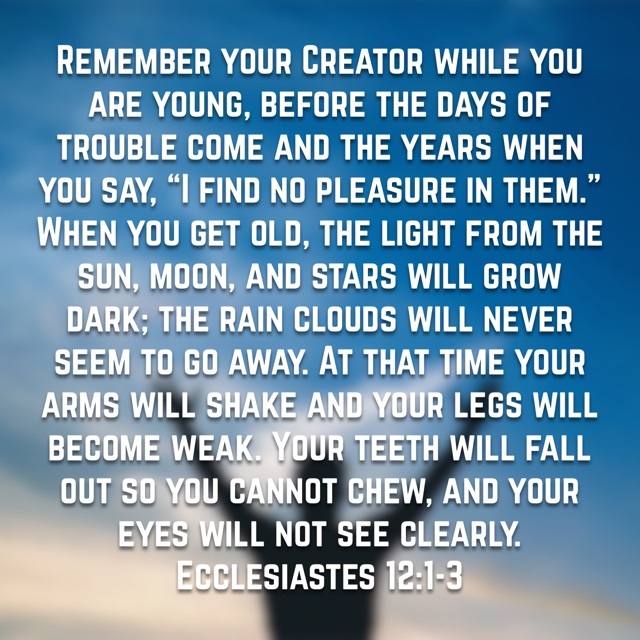 This again will allow God to REMEMBER YOU. I challenge you all to at least complete 1 of these ways, and if you really want to strengthen your relationship with God try all 5. These are just opportunities for us all to grow in Christ, and continue to be ready for when He comes again to take us HOME. I love you all and I hope you enjoy. REMEMBER GOD wants us all to be in His kingdom, but its a choice so lets choose to serve HIM whole heartedly. I also attached a nice little picture if you want to REMEMBER a more things that God does for us.